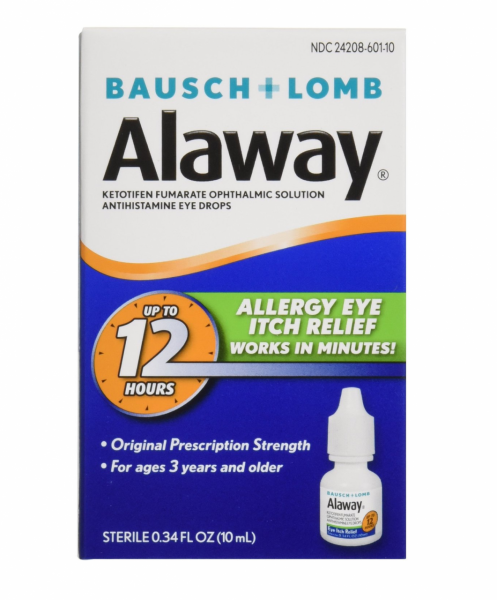 Directions Adults and children 3 years and older: Put 1 drop in the affected eye(s) twice daily, every 8-12 hours, no more than twice per day. Children under 3 years of age: Consult a doctor. Store at 4-25 degrees C (39-77 degrees F). Uses For the temporary relief of itchy eyes due to ragweed, pollen, grass, animal hair and dander. Itch relief within minutes. Original prescription strength. Up to 12 hours. Adults and children 3 years and older. 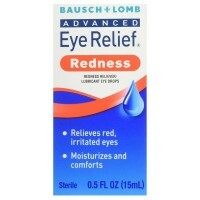 Warnings Do not use: if you are sensitive to any ingredient in this product; if the solution changes color or becomes cloudy; to treat contact lens related irritation. When using this product: remove contact lenses before use; wait at least 10 minutes before reinserting contact lenses after use; do not touch the tip of the container to any surface to avoid contamination; replace cap after each use. Stop use and ask a doctor if you experience any of the following: eye pain; changes in vision; redness of the eyes; itching that worsens or lasts for more than 72 hours. Keep out of reach of children. If swallowed, get medical help or contact a Poison Control Center right away.